Mulberry is basically a temperate plant but it grows in warmer regions too. There are several species of this fruit and all of them have originated in different regions of the world. 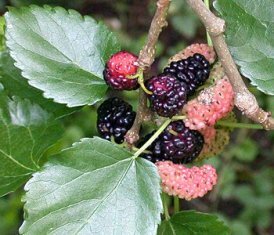 There are many types of mulberries. But the following three are the most important. It has been cultivated for long time. It is usually grown for its leaves which are fed to silkworms. The leaves are white and shining. The fruits are whitish in colour and 1-2 cm long. The fruits are sweet and tasty. These are eaten by birds. The trees are planted along the roads in India. Several botanical varieties have been derived from Morus alba bearing size and shape of fruits. However, one can also sometimes find white mulberry trees bearing 5-6 cm long fruits which are very tasty. Such types are planted for fruits. This mulberry was introduced in India from Persia. The leaves are large, dull coloured and unlobed. The fruit is bigger, darker and juicier than other varieties. It is the tallest among all the mulberries. It can attain a height upto 18 metres and the trunk can have a diameter even upto 2 metres. It bears large, deeply lobed leaves. The fruit is red in unripe condition and becomes almost black after full ripening and is very tasty. The fruits are eaten and these are considered to be a delicacy. Mulberries are considered to be very good for health. These are also used for making a sherbet and jam. 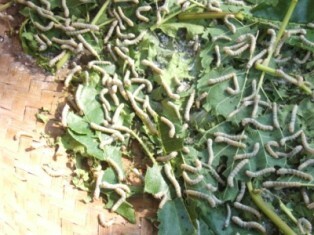 Leaves are fed to silk worms. 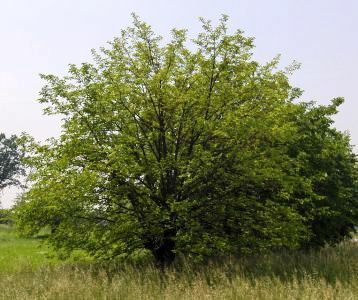 Mulberry leaves are also fed to cattle during early winter months when there is a shortage of green fodder. The elastic shoots are used for making baskets. The wood is used for carpentry. Though it is possible to raise new plants of mulberry from seed, yet it is rarely done. All the nurseries, whether institutional or private, raise plants from cuttings. The trees are mostly planted during winter months when the plants are in leafless state. The mulberry fruits are highly perishable. So these can neither be stored nor transported to distant markets. The fruits therefore have to be sold locally. This is the biggest factor which has stood in way of large scale commercial cultivation of this fruit. Most mulberry plantations have been raised for sericulture only. The area under mulberry for sericulture is estimated to be over 40,000 hectares in South India. At many places, commercial nurseries also sell plants of named varieties. One may choose as per his requirement.